"This is the smallest country in the world," has been Phil’s mantra off and on through much of our time in Samoa. It seems like we’re constantly running into relatives of Peace Corps staff or cousin of a pule or former student of whichever school. 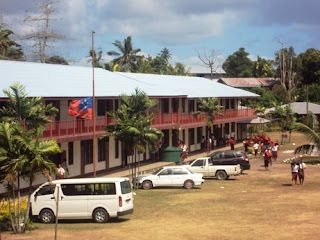 Samoa is a dense island, and though the tsunami happened far from Apia, its repercussions are far-reaching in lots of different ways. Heading back to school for the first time since the morning of the earthquake, the physical impact of the quake is obvious. 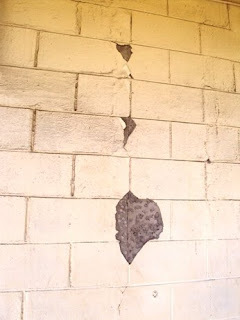 Tremors have agitated cracks in the westernmost building on campus, which houses the year 11 and 12 classes. Students and staff were instructed to keep a distance from the building until it has been cleared by inspectors. A load of large cement bricks, latticed iron cables, and a large plastic water tank have been delivered. I’m not clear on if they’re planning on rebuilding or reinforcing or what. In any case, cordoning off eight classrooms at an overcrowded school is a logistical nightmare. At our morning assembly, my principal announced that many homeroom classes will be combining until further notice. 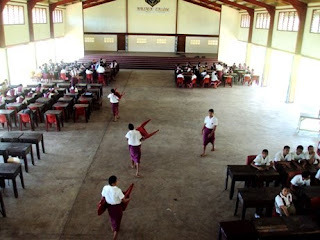 Desks have also been moved into the Great Hall and sectioned into 5 separate groups to allow for open-air classes. There was no damage to the computer lab, structural or otherwise, so I’m not all that affected, save for any classroom teaching I’d like to do. Also, my lab looks over the Great Hall, so I may be competing with the shouts of 5 other teachers. We had no classes today, so my conversations with students were informal and mostly in passing. Filifili, who makes the blog semi-regularly, mentioned casually his family buried his uncle and his uncle’s son on Friday. I remember when Group 81 was in Saleapaga for inservice training, a student from my school who lived in the village recognized me and we chatted for a while. I haven’t heard how her family is doing. 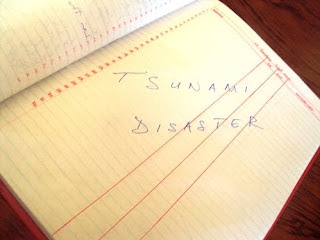 I had planned on having students write their thoughts and reflections about the tsunami in class today; I’ll have to wait to gauge how it’s impacted them. It’s probably impacted them a lot if our staff’s reaction is any indicator. During interval today, we held a staff meeting to go over logistics of teaching minus a building and to talk about what sort of donation should be made to the tsunami victims. Our school had already donated $1,000 WST from our school fees budget, but our pule led a discussion on what more we should give. A math teacher, Talapusi, was first to speak. She immediately broke into tears. I admit, my Samoan is not good enough for me to understand exactly what she said, but the emotion spelled it out clearly. Talapusi was probably voted Class Clown back in the day, and it was sad to see a such a jolly, goofy personality weep. Around the room teachers were dabbing their eyes. Subsequent discussion was also held through choked-back tears. And then Lafolafo spoke. He had been wearing sunglasses all day, and I hadn’t thought much of it, but his voice was hoarse and he daubed at his eyes as he spoke. His tone was stoic and removed, and when he paused you could hear a pin drop. I haven’t been able to get the story through back channels, but it was clear he lost someone very close. I headed back to Lalomanu in the afternoon. Apparently "relief" efforts are essentially taken care of, and it’s time to move on to the "early recovery" phase. Peace Corps’s role in this has yet to be revealed. I hope you’re well. Pictures will be posted momentarily. Last Tuesday's page in the staff sign-in book. Students flew the flag at half-mast today. 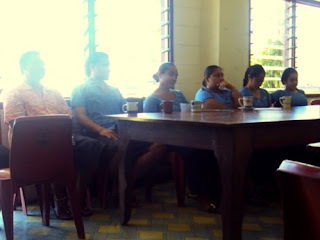 Today was the first day for these student teachers from the National University of Samoa. Welcome to chaos, guys. One them, a female, was assigned to shadow me. My staff found this pairing hilarious. 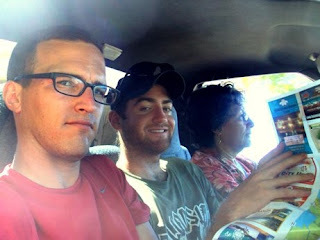 Me, Trent, and Red Cross Volunteer Ruta on our way to Lalomanu this afternoon.